I have a weekly lunch with my friend Ken. We are trying to combine the lunch with a visit that has some kind of connection to the American Revolutionary War. We alternate choosing the restaurant/revolutionary war site and this week it was Ken’s turn and he chose the Quaker Meeting House because it apparently had the kind of connection we were looking for. After walking around for a while we were unable to verify this. 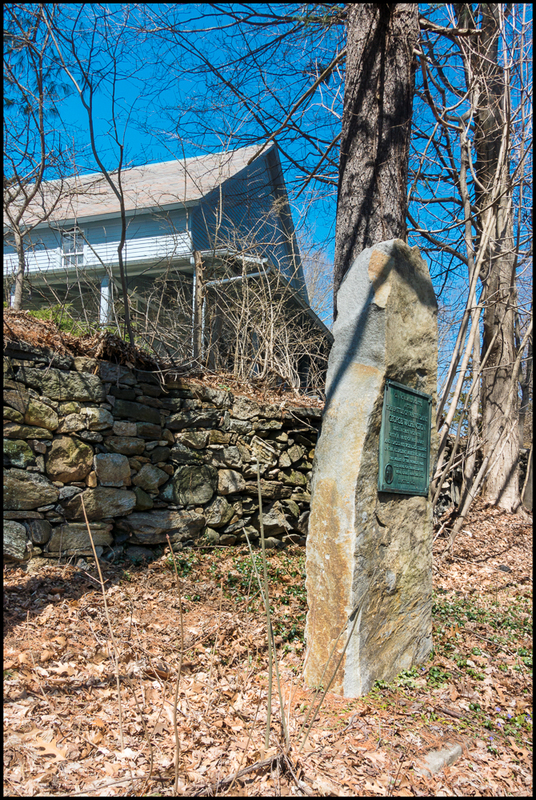 Then I saw, down by the road, a slab of rock a little away from the meeting house and down by the road. This must have some significance I thought so while Ken went to get the car, I walked down to the road to take a look. 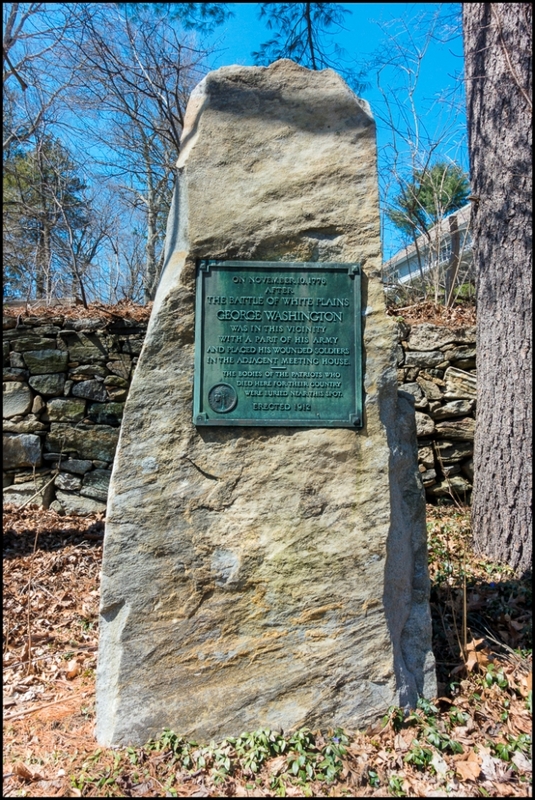 On November 10, 1776 after the Battle of White Plains, George Washington, was in this vicinity with a part of his army and placed his wounded soldiers in the adjacent meeting house. The boides of the patriots who died here for their country were buried near this spot. Erected 1912.